Sales Metrics and sales KPI’s matter,for lots of reasons. Having the right team sales KPI’s and the right individual sales metrics means your chances of achieving sales success are already increased. The following will help you identify some of the challenges around this area, and for a more step by step guide you can download our free guide. See the link at the end of the article. What Sales Metrics to Use? That really depends on what you want to achieve? And that’s the easiest way to start. How much data is available? How much of that data has been called more than 7 times? Average admin time per call? 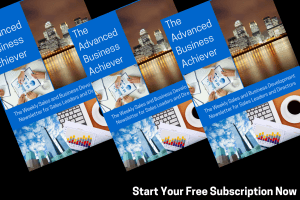 This is not an exhaustive list, but you’ll get a picture for how you create your very best sales metric template for you. BUT don’t set up metrics for the sake of it. Ask yourself; if you had to identify the most critical sales improvement, profit improvement, sales performance improvement sales metric then what would it be, then monitor that by reviewing the intrinsic parts. Often one of the first and biggest piece of work done in any sales turnaround or sales performance improvement is to agree to measure those sales metrics that have a direct relationship to sales success. The sales metrics you can control. The sales metrics you can influence. Lots of reasons, primarily it’s an indicator for the sales management and the sales people that you’re all on the same track. If you’re a sales person, you know you’ll earn bonus, and if not you’ve got some idea of what to do to change that. If you’re a sales manager, you know what skills to re-coach and with who. And if you’re the business owner, you don’t have to wait 2 weeks after the month end to discover how much money you’ve made, or not made, as the case may be. 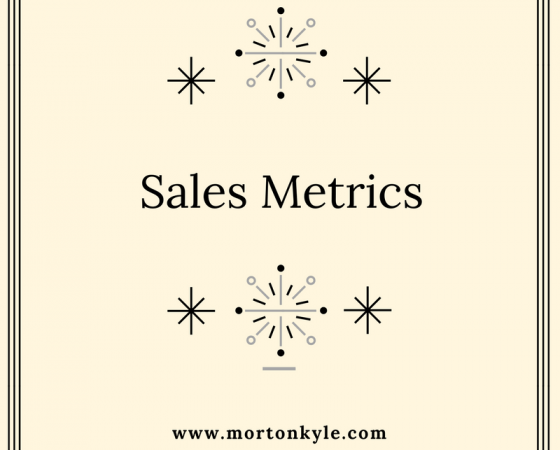 Agile use of your sales metrics is the easiest, quickest and most efficient way to improve sales skills, sales people, sales function performance and bottom line profits. 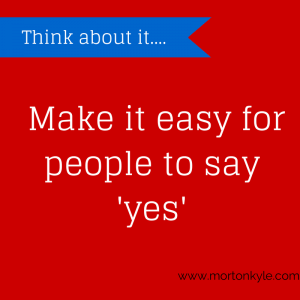 The key to continuous sales improvement. Whether you’re using a league table, a weekly sales meeting, a daily sales huddle, everyone is following the same road map. Everyone is working with the same sign posts and with a supported and directed mission to get there! When to Proactively Use Sales Metrics? Both the team sales metrics/sales KPI’s and the individual numbers. This is the top of the tree in hands on sales management and sales leadership. It will focus everyone’s attention on what’s not happening. Not so you can blame anyone but because now, as a sales leader, you can make it right. But it helps if you launch that months sales metrics at the beginning of the month. Explain why you’ve selected these metrics. Explore what success looks like, what disaster looks like. Highlight what support the business is providing to help everyone get where they need. Then you’ve set the premise of expectations, it’s your management guide map for the month. These sales KPI’s can then be reported/reference daily via huddles, emails, leader board, office screen, 121 sales coaching. How to Use Your Sales Metrics? Your selected sales metrics and sales KPI’s are also part of every sales persons sales review. They form part of every performance management and sales development plan, personal development plan. Used to drive performance, striving for continuous improvement. They can also highlight areas where sales training, coaching, shadowing, mentoring or additional support is required. To foster team spirit and collective sales team focus for the good of the individuals and the business. A reason to celebrate sales success. To foster team spirit and shared focus, as well as giving a team platform for discussion and suggestions. Collective learning, ideal for targeted buddying. Of course, it’s not all. No-one manages solely by numbers any more. Numbers, sales metrics, sales KPI’s well they’re just the foundations. Keeping score. The real winning benefit is how the sales leadership team use these metrics. Great sales leaders use them to interact, develop, coach and motivate the team. Having worked with thousands of sales people, I know for sure that the fastest way to improve sales performance is to spend more time coaching and mentoring the sales team. Having great clarity and shared ownership of group and individual sales metrics/sales KPI’s is the easiest way to do just that. Sales Audit – for when you want to improve sales results, turnover and profits, but have no idea where to start. Remember, having the right sales metrics is critical to any sales function wanting to outperform competitors, drive margins and foster continuous sales improvement. This entry was posted in Blog, Business Development, Business Planning, Sales Coaching, Sales Consultancy, Sales Key Performance Indicators, Sales Leadership, Sales Management, Sales Performance Management, Sales Recruitment, Sales Strategy, Sales Training and tagged B2B Sales Training Courses, Sales Coaching, Sales Key Performance Indicators, Sales KPI's, Sales Metrics, Sales Performance Improvement. Bookmark the permalink. Pingback: Sales Target Objectives | What's the REAL Purpose of Sales Targets?